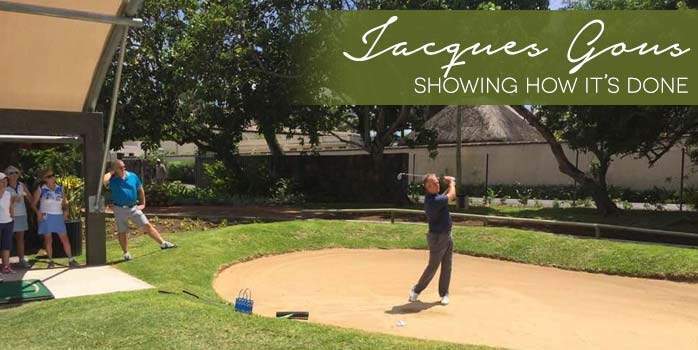 Friendly competition, great food and paradise beaches with our PGA Golf Pro Jacques Gous as he hosted our 2018 Mauritius Mixed Pairs Golf Tournament. 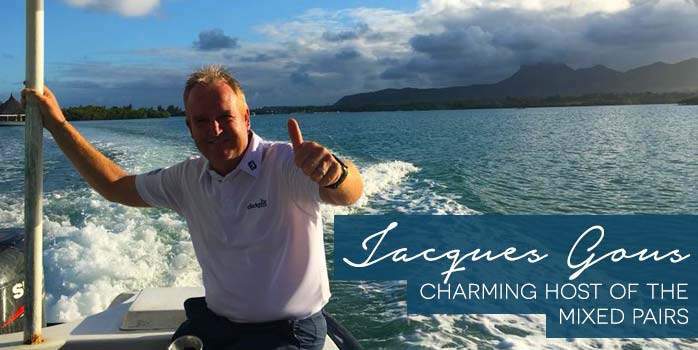 Mauritius Mixed Pairs hosted by PGA professional Jacques Gous for 2018! 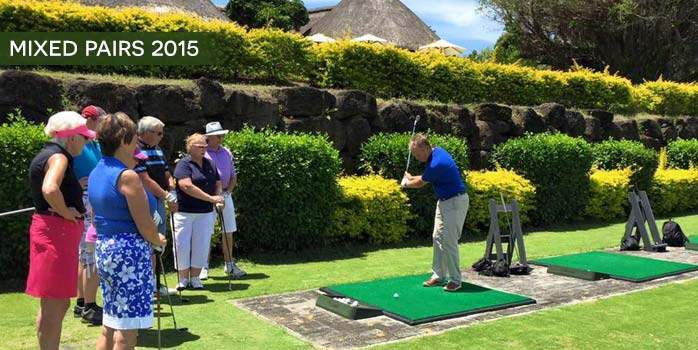 Mauritius Mixed Pairs Tournament that I had the pleasure of hosting in it’s 19th year. 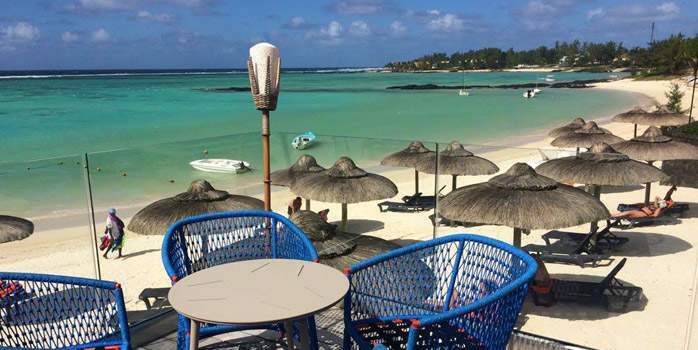 The trip began with a flight from the UK to Mauritius. 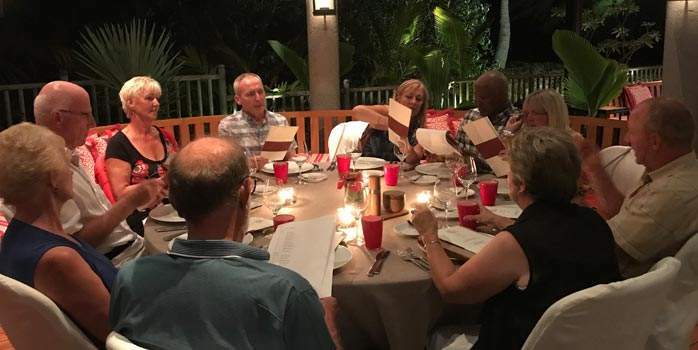 After arriving at the resort the group were left to their own comforts until 6pm that evening when we all got together for an introduction from myself, a few drinks & our first meal together as a group. 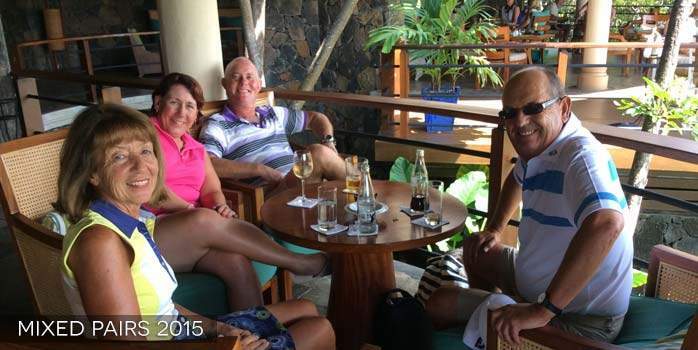 This was a great opportunity to meet other members of the group and catch up with old friends. We visited three more restaurants throughout our stay which are all silver service with an á la carte option. The range of restaurants available kept our taste buds excited. The Blue Penny restaurant in particular was an amazing experience, located in the cellar of the resort you are surrounded by around 30,000 bottles of wine. 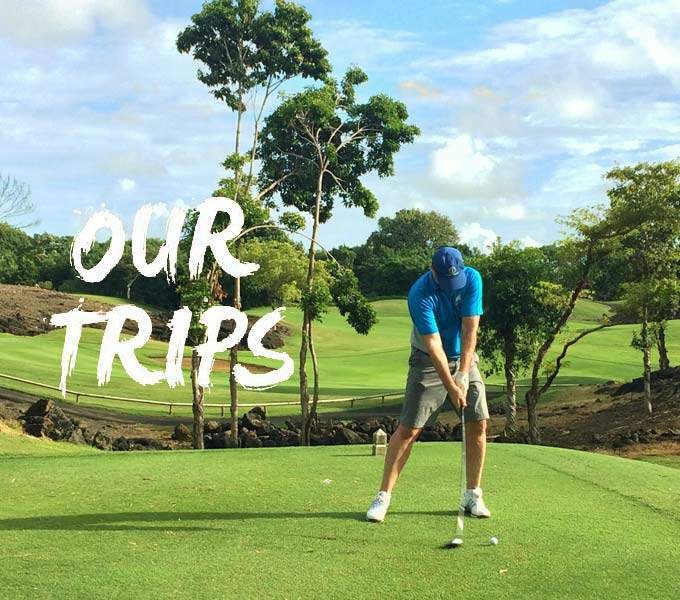 Onto the most important part of the trip… Golf. 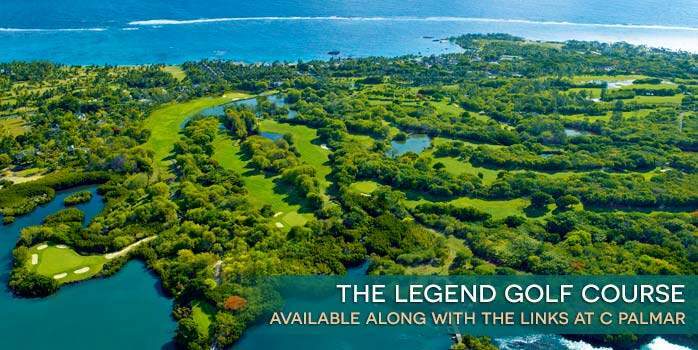 We played five tournament rounds of golf that took place at the two resort courses; The Links & The Legend. 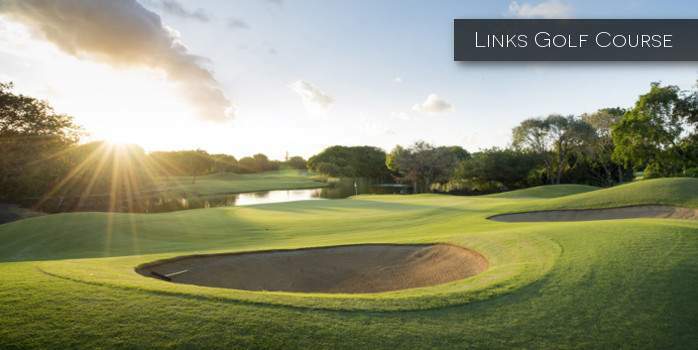 Two amazing courses that are completely different from each other, challenging (in a good way) & surrounded by beauty. The legends course in particular always offers views of majestic deer. 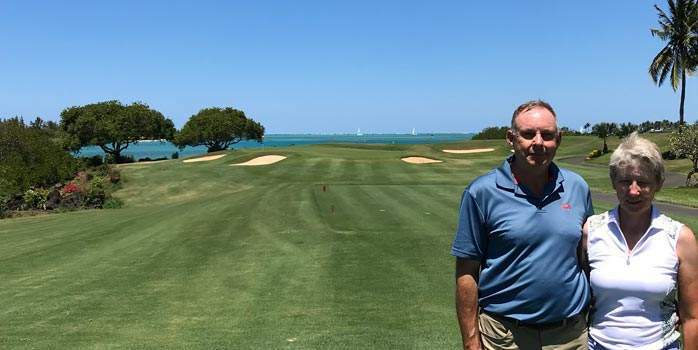 The quality of the golf and the resort combined with the friendliness of the staff (that are happy to help with anything) makes the Belle Mare Plage a perfect location for an event of this nature. 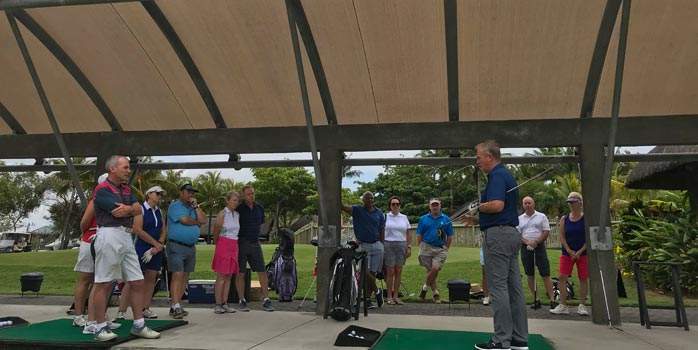 During tournament days I hosted golf clinics before the round. This is a chance for me to help the group with their game which I love doing. 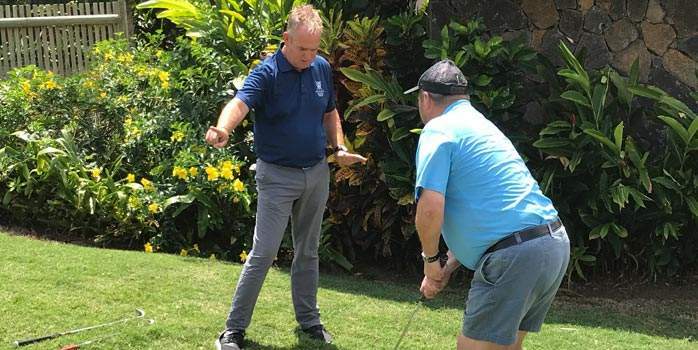 Being a PGA Professional I am there to call on anytime a group member is having trouble. 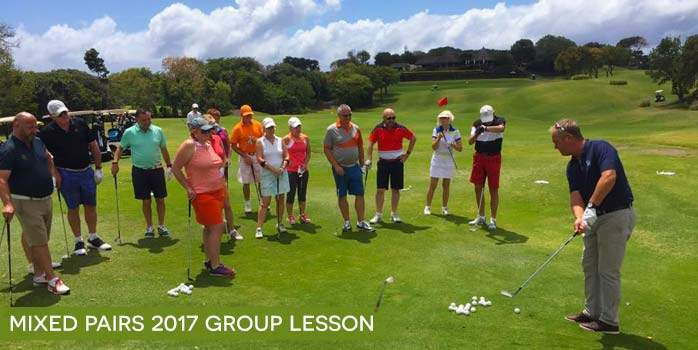 The practice facilities at both The Links & The Legend courses are world class which allowed us to get the most out of these sessions. 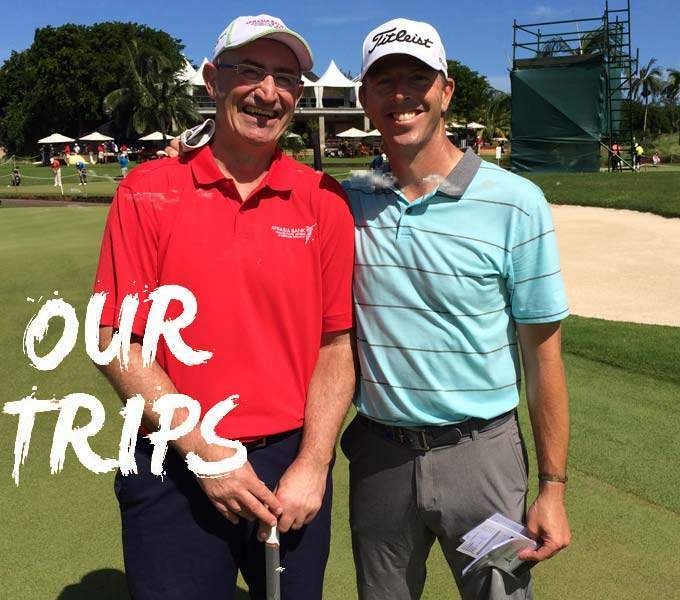 There are so many options available to the group on non-tournament days. 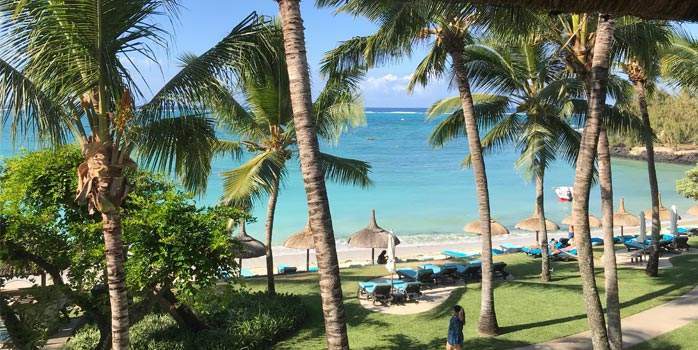 It is hard to convey just how stunning this beach resort is, it’s truly special and you cannot beat it for peace and tranquillity. It is simply bliss! 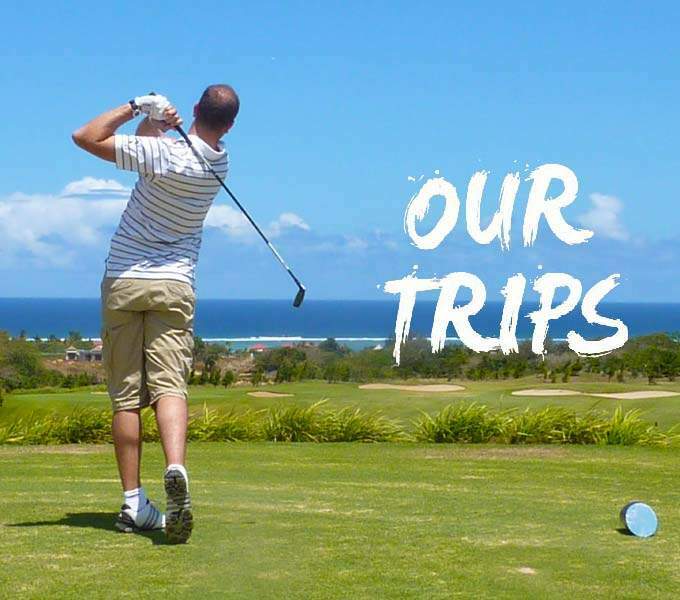 For those in the group that fancied a bit more adventure other activities are available like tennis, water sports (water skiing & parasailing), bicycles to explore the island and of course if you are up for another round, the golf course is always there. 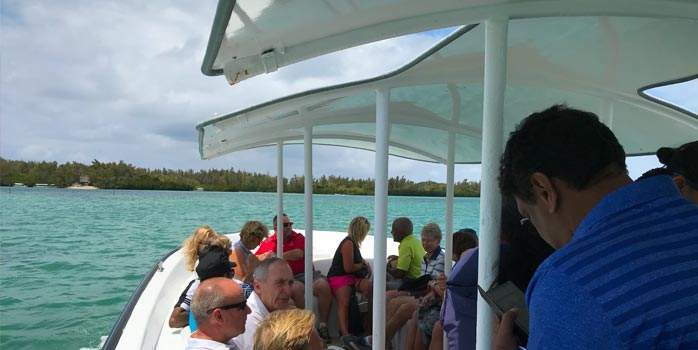 One special trip I arranged for those in the group was the catamaran with food and drink included. This gave the group a chance to do some snorkelling and visit the waterfalls, trust me it’s so beautiful. 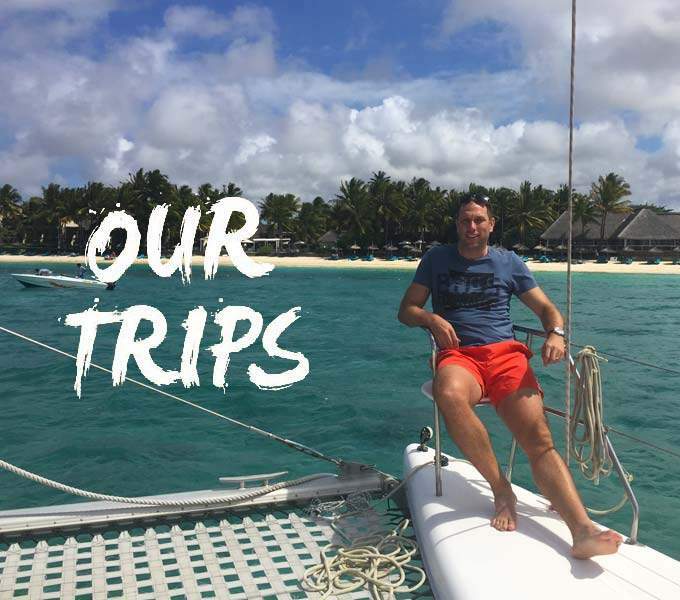 Not only did we then sail around the island of Ile aux Cerfs but had an hour and a half to explore the beautiful setting before leisurely sailing back to the rest. 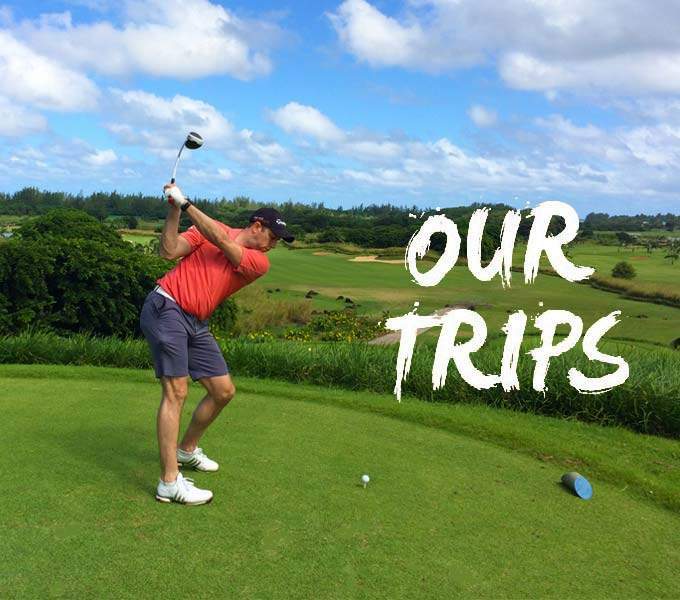 We enjoyed two more days out of the resort playing at two special courses. 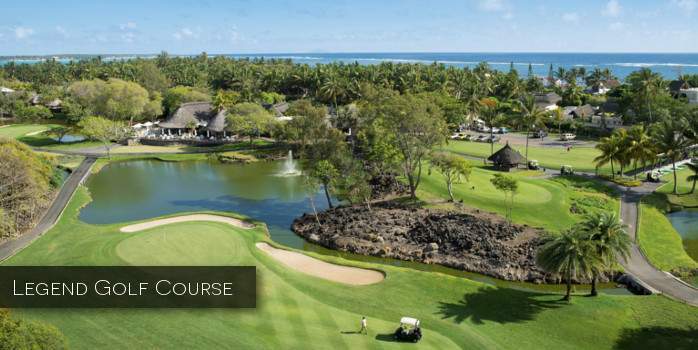 One is the world-famous island course of Ile aux Cerfs & the other is the host of the Mauritius Open, Anahita, an Ernie Els design which many of those WHO travelled rated as their number one. 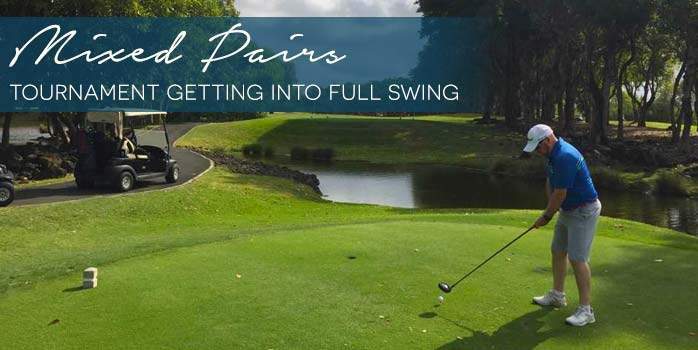 These two courses were optional to play and are both about 20 minutes drive from the resort, but well worth a visit and I promise you would not regret joining me. I just love them both as they are so unique. 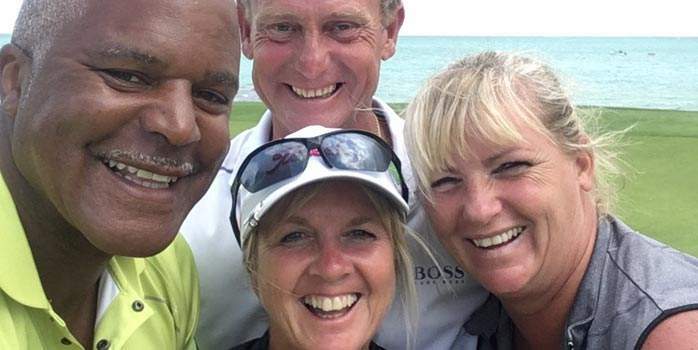 Have you ever heard of going to a golf course on a boat? A crazy experience with magical views. 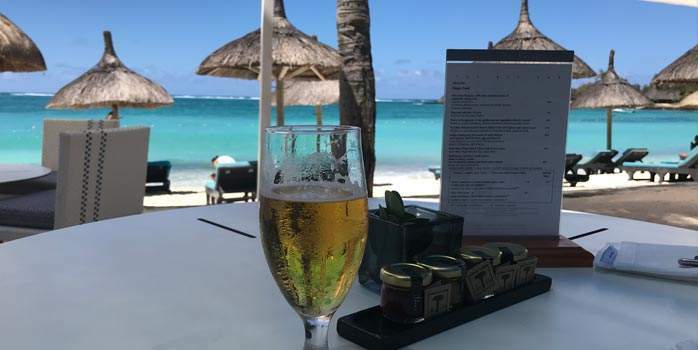 When all is said and done, we finished off our trip with having the last meal together and this is always a special occasion in a special location. 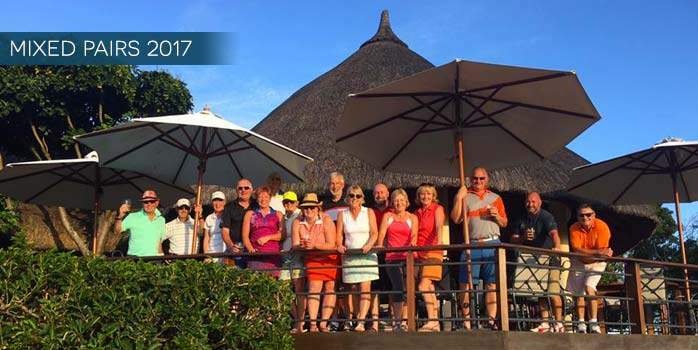 I hope this gives you a little insight into what we do on our tournaments & escorted tours and wish to see some old and new faces in 2019!